Our bad weather pattern changed today – it got worse. 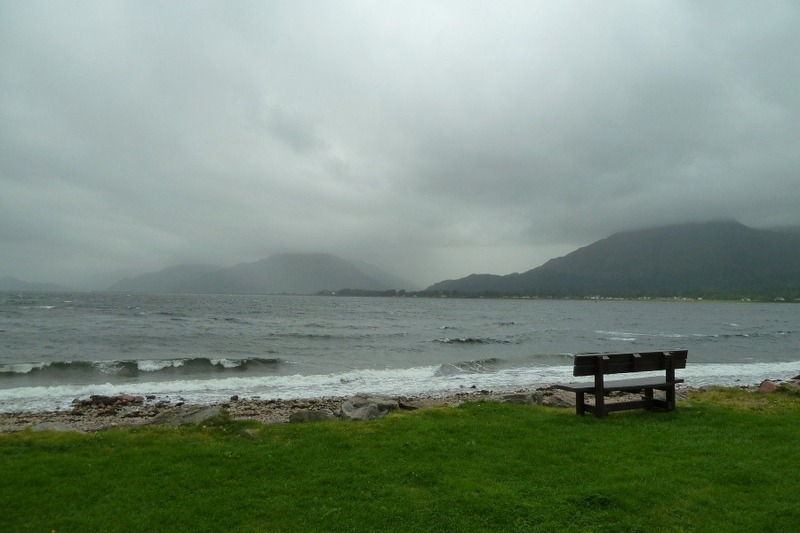 The wind was piling the waters of Loch Linnhe into cresting waves which broke onto the pebbled shore of the loch. These pictures were taken in the early morning but could have been shot at any time of the day, there being little variation throughout. The first picture, taken outside Guillaume, doesn’t quite convey the complete picture in that the near horizontal rain cannot be seen, hence the second picture. As you can see, the far shore of the loch has, once again, completely disappeared from view. 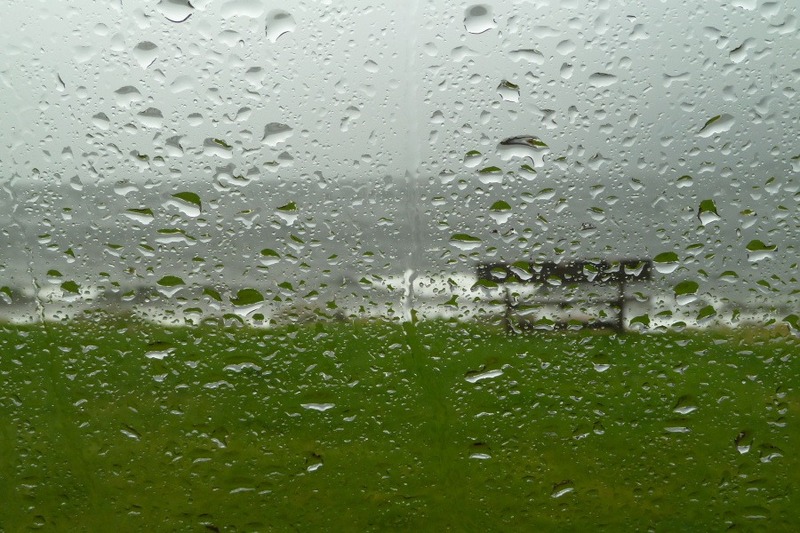 With the strong winds and today’s forecast claiming a 70% chance of rain all day long – it rains here whenever there is any percentage chance of rain – and for want of something better to do while the rain lashes across and occasionally up Guillaume’s bows, I was inspired to define a Caravan Club Bunree equivalent to the old Beaufort wind scale. 0-4 Undefined – does not occur. 5 Scottish club members’ kilts are blown over their heads revealing the truth about male highland underwear. 6 Caravan doors slam against the side of vehicles as they are ripped from the grasps of club members attempting ingress/egress. 7 Hazardous waste from chemical WCs being emptied is blown away from emptying pit and spatters caravans on first line of pitches downwind. 9 Club members’s dog, out for a walk on lead (as required), is lifted bodily to dangle in the air on the end of said lead streaming out horizontally. 10 Club member’s dog begins walk in Bunree on lead (as required), is ripped off lead and finishes walk 9mls/15kms away in Fort Dump (a.k.a. Fort William). 11 Club member, having begun walk with now missing dog originally on lead (as required) in Bunree, is lifted skywards and follows said dog 9mls/15kms to Fort Dump (a.k.a. Fort William) with remaining fragment of lead. 12 Bunree club site empties as caravans and motorhomes are bowled end over end to join club members and dogs 9mls/15kms away in Fort Dump. Club searches for more sheltered site. It rained for almost 24 hours. 1 Pings/Trackbacks for "Bunree Wind Scale"